For three-straight months the Boston Bruins were the hottest team on the planet, rattling-off a superlative record of 29-5-4 between November 15 and February 16. They were firing on all cylinders, brushing many of their opponents aside with ease. Nineteen of those 29 wins were by two goals or more and 14 of them were by at least three goals. Dominance. But somewhere between their 5-2 manhandling of the Calgary Flames on February 13 and their next contest four nights later their mojo seems to have abandoned them, like Austin Powers in the “Spy Who Shagged Me.” The sequel. With Heather Graham. Remember how Dr. Evil steals his mojo? Anyway, Boston’s recent five-game road trip took them from Western Canada through Western New York. It also took them from first-place in the NHL (point-percentage) to fourth, with the B’s picking up just four of a possible 10 points. The trip was bookended by losses to teams with the second and fourth-worst records in the league (Vancouver and Buffalo) by a combined score of 10-2. In between the two drubbings was a contest at the Saddledome in Calgary wherein Tuukka Rask stood on his head for the entire third period and overtime until Brad Marchand’s breakaway winner secured two points. Twenty-four hours later the Bruins needed a Herculean effort and miraculous three-goal third period to triumph over the wayward, sub-.500 Edmonton Oilers. A loss to the Auston Matthews-less Toronto Maple Leafs came three days later. Finally back on home ice Tuesday night, the boys in Black and Gold needed overtime and another three-goal comeback to vanquish the Carolina Hurricanes. Sure, they were without star center and Hart Trophy candidate Patrice Bergeron, but their performance over the previous five games removes “Bergie’s” absence as a legitimate excuse. Four of those six teams were outside the playoff bubble at the time of each respective contest and that number has grown to five as of this writing. The fact that Boston has been able to pull a couple wins out of their hats despite looking out-of-sorts for large swaths of each of the last six contests is, in its own way, encouraging; ugly wins also count for two points. And their ability to come from behind again and again is indeed a part of their Stanley Cup DNA. But needing to do so with this much frequency versus teams outside the playoff picture has ceased to resemble a virtue and has begun to look like kinks in the machine. The most even-handed and level-headed assessment would be that the Bruins are slowing down because of course they are. That 29-5-4 stretch would be unsustainable for even the most legendary of teams. That’s a rate of 134 points over an 82-game season, a point total yet to be matched in NHL history (the 1995-96 Red Wings’ 131 points are the closest total). The law of averages was bound to kick in at some point and it appears that time is now. But it’s also probably not a coincidence that Boston’s funk has neatly coincided with the trade deadline, a time of year rife with anxiety and uncertainty as lives are upended and families uprooted. In 2018, in a sports-mad town like Boston, it would be foolish to assume the team’s gaggle of twenty-somethings and their entrenched elders were impervious to the incessant rumors, chatter and criticisms that comprise roughly 31% of the atmosphere in the Greater Boston Area. Now that the deadline has come and gone the Bruins will attempt to gather themselves and put their collective best foot forward, with each individual in the room knowing for sure that they’re not going anywhere. Talking about Boston “losing its mojo” and discussing the law of averages isn’t terribly tangible analysis. 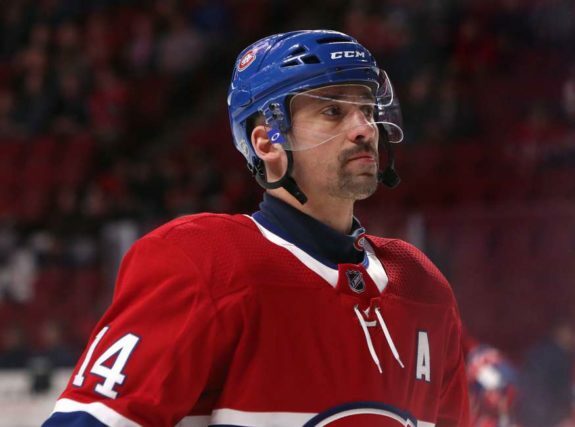 But the team’s struggles on special teams, on the other hand, have been as tangible and distinguishable as Tomas Plekanec’s turtlenecks. With the league cracking-down on slashing infractions, opportunities are frequent on both sides of the coin. If a team isn’t taking care of business on special teams in 2018 then they probably aren’t winning many games. For the vast majority of this season Boston’s power play has vacillated between “serviceable” and “lethal.” There have been sporadic periods of ineffectiveness, but there have also been eruptions with the man-advantage, such as the 4 power play goals scored versus Vancouver on October 19, 0r the three scored versus Ottawa on December 30. 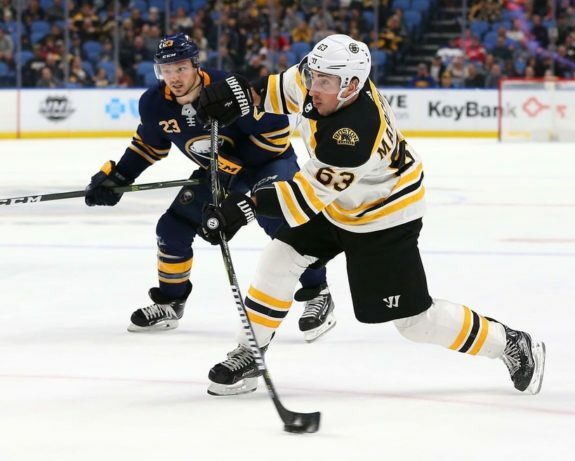 The top-heavy first unit of Patrice Bergeron, David Pastrnak, Brad Marchand, Ryan Spooner and Torey Krug featured three snipers on pace to eclipse 30 goals, a half-wall playmaking wizard and a defenseman on pace to eclipse 50 points for the second-consecutive season. Their power play was fixture within the NHL’s top ten and even included a brief flirtation with the top five. But of late the wheels have fallen off, caught fire, rolled down the mountain and wound up in a scummy pond just south of Framingham. Since their trip to Vancouver the unit has plummeted from 10th to 19th in the league, having failed to convert on their last 18 chances with the man-advantage. Eighteen. That’s a figure reminiscent of the organization’s 2011 squad, whose power play ineptitude made history. With Patrice Bergeron sidelined with a fractured foot and Ryan Spooner now a member of the New York Rangers, revitalizing the unit will fall on the broad shoulders of newcomer Rick Nash and his beleaguered teammates. If the power play goals don’t start trickling back in you can rest assured that the losses to also-rans and furious comeback attempts will continue to pile up. 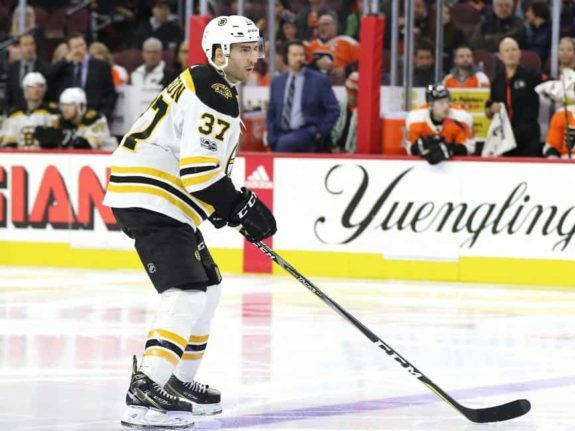 Struggles with the man-advantage will come as little surprise to those who follow the Bruins; with few exceptions of late the team has a rather rich history of fruitless power plays. Struggles when shorthanded, however, are significantly more rare. Last season’s personnel gave Boston the top-ranked penalty kill in the NHL. This year’s edition picked up right where they’d left off, garnering a top-two ranking for the entirety of Boston’s incredible three-month stretch. But like their power play counterparts, the “pk” unit’s effectiveness has waned drastically since embarking on their trip through Western Canada. 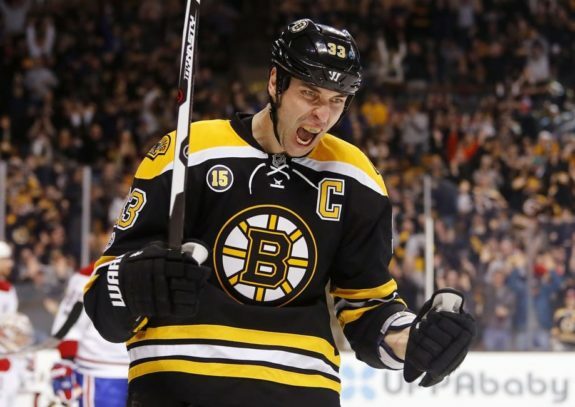 What has long-since been a staple of Bruins hockey has recently devolved into a roller coaster of unwelcome excitement, conceding a goal on six of their last 15 deployments; a success rate of just 60%. Their ineffectual play when the team is at its most vulnerable has dropped the unit from second to 13th in the NHL in a span of just 11 days. Defensemen Brandon Carlo and Adam McQuaid, both fixtures on the penalty kill, have had a particularly rough-go of things lately. Given their respective limitations offensively, continued struggles while killing penalties could eventually lead to press box duty for both now that newly-acquired Nick Holden is in the mix. Teams that simultaneously fail to cash-in on their own opportunities while getting scored on at a 40% rate are dead in the water. It’s no wonder the Bruins have played .500 hockey against mediocre competition over the last two weeks. 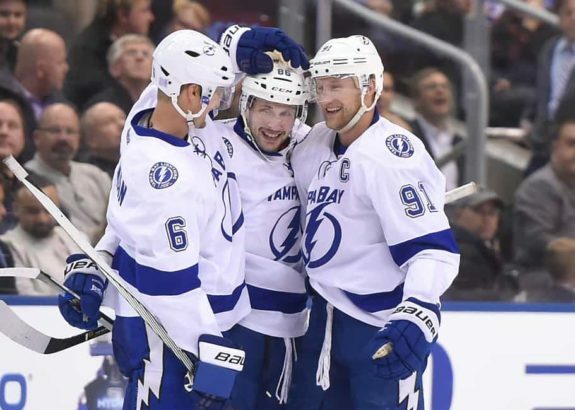 Division-rival Tampa Bay has scored the second-most power play goals in the NHL this season. Fellow Atlantic Division foe Toronto has conceded the second-fewest power play goals in the league. Boston’s hopeful trip to the Stanley Cup Final will go through one (if not both) of those locales, meaning the time to right the special teams ship in anticipation of the playoffs is yesterday. None of this is to say that it’s time to sound the alarms. There are logical explanations for Boston’s recent downturn in play and some are even beyond the team’s control. After all, these guys have set the bar quite high for themselves. But that high standard and the accompanying expectations forced general manager Don Sweeney’s hand in deviating from the script and wading into the NHL’s rental market; at a steep cost, no less. In order to make good on that investment and a stellar 60-game start, these issues must be treated as such: Issues. Specifically, ones that need addressing before bad habits take root and confidence is lost. This Bruins team is talented and driven enough to rattle-off three-goal comebacks against the likes of Edmonton or Carolina. But springtime deficits to Tampa Bay, Toronto or Pittsburgh are unlikely to be quite so surmountable.